In MMA circles, Marquette High School in Chesterfield has a very notable alum: Ultimate Fighter finalist Michael Johnson. If all goes to plan, you can soon add Joaquin Buckley to the list of successful MMA Mustangs. Johnson preceded Buckley by about eight years, but both spent a lot of time on the wrestling mats. "I wasn't really a technical wrestler, but I was very athletic." Buckley said. "My coach that I trained with, Coach (Joe) Wier, and everyone there were just geared to having fun and that's what drew me to that." 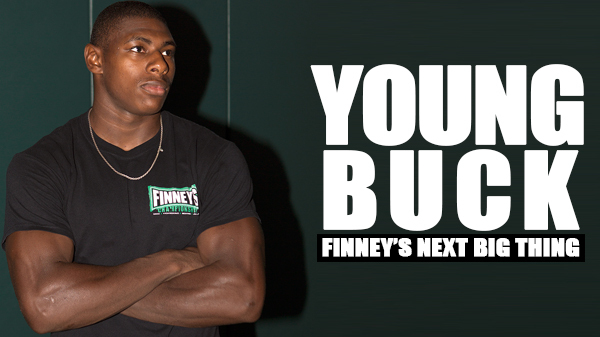 Shortly after graduating high school, at 18-years-old, Buckley began his MMA training after finding an ad for Finney's MMA on the internet. As luck would have it, he has been with the team ever since. "I like to watch martial arts, but I never did martial arts." Buckley said. "I started training MMA right after I got out of high school. I looked up on a computer for MMA classes. Finney's popped up. It was a blessing because the first week I went to was great. I'm blessed to find a great camp to train with." Now, almost three years later, undefeated as an amateur and a pro, Buckley is starting to gain some regional buzz with three TKO wins as a professional, two in the first round. Success sticks to Buckley like static cling, something that fuels his love of the sport. "Winning." Buckley said. "I wasn't losing and I ended up loving the sport. I saw my opportunity to make big money down the road. So I jumped on it." "It was a little shaky at first. I'm not going to lie." Buckley said. "After years of going and going I learned the ins and outs and the differences between the two. They have the same basics, but they're not the same thing. Once I learned that it was a smooth ride. I call myself pretty decent in jiu-jitsu." With the help of jiu-jitsu caoch Ezra Lenon, and several other top regional MMA pros, Buckley has quickly picked up the sport. "I have some of the best training partners in St. Louis and even the world." Buckley said. "I train with Adam Cella, a person who was on the Ultimate fighter. Luigi (Fioravanti), a UFC veteran, and Ryan Sutton, just an athletic beast and technical a wrestler. My coach on the ground, Ezra Lenon, one of the best jiu-jitsu practitioners in the whole world. I train with some of the top guys around." Buckley's go-to training partner is also his roommate, an aspiring, young fighter himself, Edrick Dillard. The pair have shared the card twice in their careers. "My roommate Edrick Dillard, we always put work in." Buckley said. "Whether it's grappling or lifting weights or talking about the game. That's my main training partner for sure. An up and coming star himself. " As with most fighters, fight week is the toughest part. "The hardest part of fight week is cutting weight," Buckley said. "Getting your weight down, trying to be mentally strong to keep from snacking at midnight. Besides that I always feel confident before the fight. You get nervous, but I'm never fearful or scared to be where I'm at. I'm always calm, confident. " One part of Buckley's fight week ritual involves visiting a favorite eating spot known for it's sizzling steaks and tasty appetizers. "Me and my homeboy go out and eat at Applebees after every weigh-in." Buckley said. "Every weigh-in we go to Applebees, Edrick and I both get the two for 25." With Buckley's perfect amateur and young professional career, the comparisons to another local welterweight have already started to come. Tyron Woodley made a name for himself destroying the local competition before getting an opportunity with Strikeforce that would jettison into national attention. Both fighters come from a wrestling background, with obviously Woodley wrestling at a much higher level at Mizzou, but both have a similar short, stocky and very muscular build. "I wouldn't put myself on that level. He's one of the best" Buckley said. "I like working on every aspect of the game. That's the only thing I put behind Tyron Woodley, he's still just a wrestler, power punching everything like that. Whereas I want to be an overall mixed martial arts." Up next for Buckley is MMA journeyman Sean Huffman. Huffman has lost quite a few in a row, and shouldn't pose too much trouble for Buckley, but as they say, anything can happen in a fight. "He's a very experienced guy, with a lot of fights," Buckley said. "He's seen a lot. He's the type of fighter that has relied on his athleticism and never worked on his craft. That's the reason he's going to be beat on July 25th. I bring a whole other level to the game. Whether it's my grappling, my striking or my mindset. He's not on the same level as me." Saturday's contest with Huffman will be Buckley's 12th local fight. As he continues to climb the ladder, national promotions may come calling. Sooner rather than later. "My short term goal is to keep winning these local fights." Buckley said. "Get my name out there and get my exposure to my local fans. My long term goal is to be on the big shows, UFC or Bellator, who ever calls me first and wants to give me the big contract." If wins keep coming, there will be no shortage of suitors, but Buckley won't get ahead of himself just yet, focusing one fight at a time, with little regard for whom the promoters put in front of him. "Whoever they give me up next," Buckley said. "I don't have any preference on that. I don't know really know who's out there doing big things. If anything people should be out there hunting for me. I'm undefeated and I feel like I'm the best around here in my weight class." 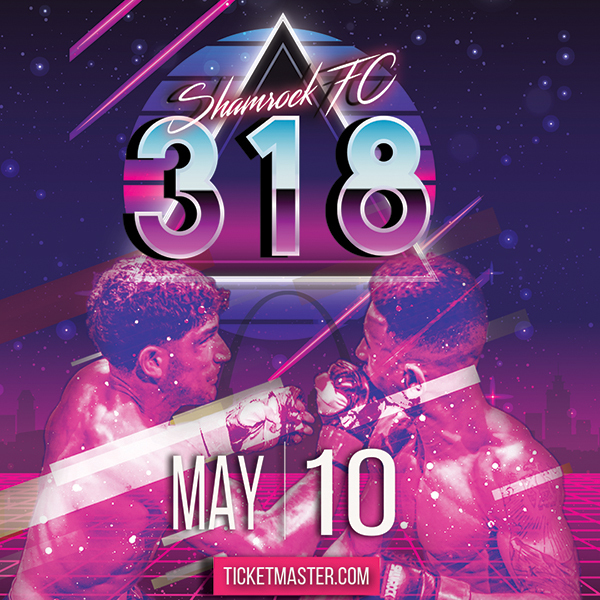 Buckley vs Huffman headlines Shamrock FC: Throwdown on Saturday, July 26th at Lumiere Casino in downtown St. Louis.